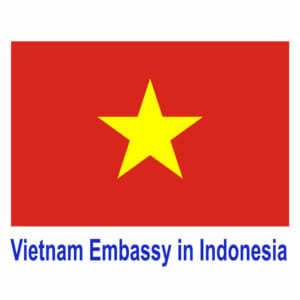 (News from DSQVN in Indonesia) – AM January 11, 2016, Ambassador Extraordinary and Plenipotentiary of the Republic Socialist of Vietnam in Indonesia Hoang Anh Tuan went to see and courtesy Indonesian Vice President Jusuf Kalla. Ambassador Hoang Anh Tuan thank Jusuf Kalla Vice President for taking the time to and expressed his pleasure about the deepening relationship between the two countries in all fields of political and economic relations, trade , education, investments to security cooperation – defense and coordination in regional forums and international. This relationship has been improved in both quantity and quality since the two countries established formal strategic partnership following the visit of Indonesia’s President Truong Tan Sang month 6/2013. On political relations, Ambassador Hoang Anh Tuan said Vietnam relations – Indonesial long relationship, going through many challenges but always developed over the years. In recent years, leaders of the two countries have regular contacts and exchange at the bilateral meeting on the sidelines of the Conference and the multilateral and the two sides had fruitful cooperation in various multilateral forums and international. Regarding economic relations, Vietnam bilateral trade – Indonesia reached $ 5.4 billion in 2014 and the two sides are striving to bring bilateral trade to 10 billion dollars by 2018. Ambassador hope 2016 will be promising more opportunities for bilateral cooperation Vietnam – ASEAN Community Indonesia after the birth marks the regional integration to a new level, higher. Also Ambassador Hoang Anh Tuan affirmed their determination to fulfill its role as a bridge and promote political relations, economics, education, culture … between Vietnam and Indonesia during his tenure. On this occasion, Ambassador Hoang Anh Tuan has conveyed an invitation to visit Vietnam’s Vice President Nguyen Thi Doan, Vice President Kalla and to wish Vice President to visit Vietnam in the shortest time. Vice President Jusuf Kalla congratulated Ambassador Hoang Anh Tuan to the task in Indonesia, believes that the Ambassador will be the bridge to actively contribute to the strengthening and further development of the traditional relations of friendship and respect strategic partnership between the two countries. Vice President Jusuf Kalla appreciate the relationship growing between the two countries in the fields of politics, diplomacy and economy. Vice President Kalla said the leadership and people of Indonesia attaches great importance and high priority in its relations with Vietnam because Vietnam and Indonesia share many strategic interests parallel and Vietnam is the only country that Indonesia has strategic partnerships in ASEAN. Vice President Jusuf Kalla agreed with Ambassador Hoang Anh Tuan on a platform that good political relations of the two countries should strengthen, promote economic relations, trade and investment in the areas in which mutual toothpick. At the same time the two countries should promote the implementation of the action program, implemented effective strategic partnerships in 2014 to 2018 period Jusuf Kalla Vice President also expressed his wish to strengthen maritime cooperation, promotion Quick delimitation negotiations exclusive economic zone between the two countries’ maritime development and cooperation in education, training, culture, to create cohesion between the people and the people. Vice President Kalla expressed his thanks and happily accepted the invitation to visit Vietnam’s Vice President Nguyen Thi Doan, expressed his desire to soon return to Vietnam beautiful country and hospitable.